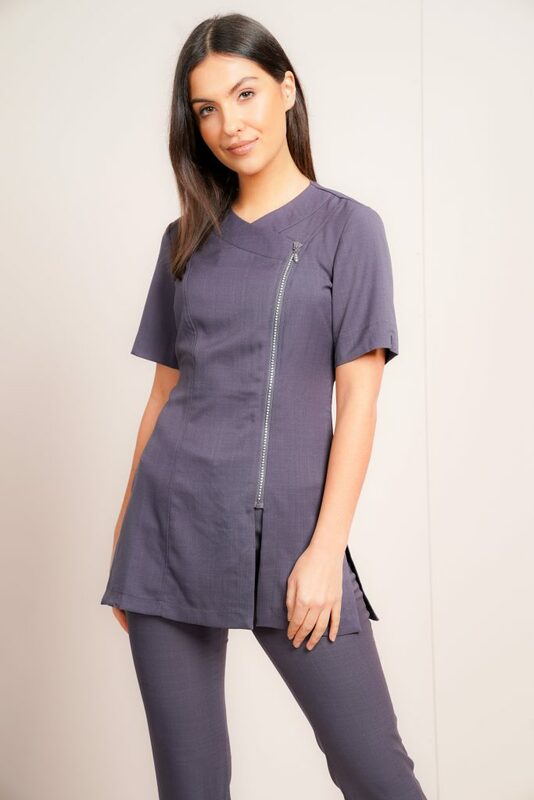 This fitted tunic comes in a longer length so you can wear it with trousers or leggings all year round. Plus three faux crystal buttons subtly dial up the glamour, helping you shine at work. Produced from 100% soft twill polyester. If you like the Eliza tunic you will love the Madeleine dress! Designed to complement each other perfectly, these two should always be bought together.